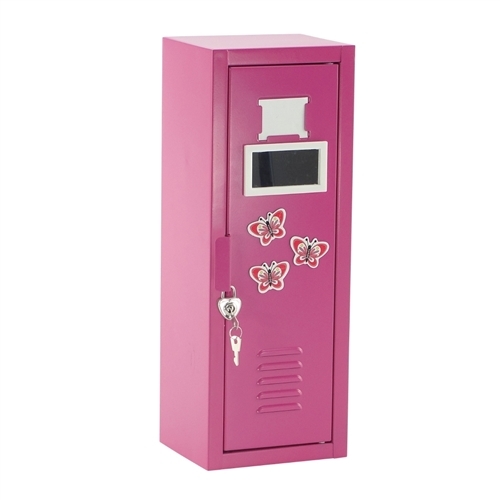 Whether storing clothing or accessories, this 14 inch doll sized bright pink school locker is pretty, affordable and functional! This amazing doll accessory has a functioning heart shaped lock with key, making it a realistic miniature version of a real school locker! Inside there is a rod that holds plenty of doll clothing and we have even included 5 perfectly sized plastic hangers to get stay organized. 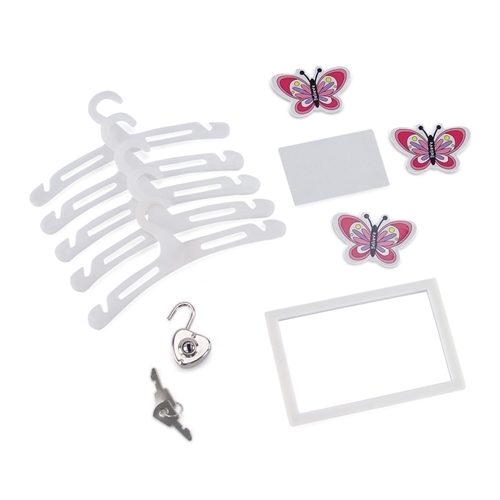 The top shelf is roomy and can store plenty of shoes and small accessories, but that's not all, this amazing locker also comes with a white magnetized mirror, 3 beautiful and colorful butterfly magnets and even a thick white card so you can add a personal touch! Functional, pretty and with LOTS of accessories this doll school locker is a one of a kind, amazing value for your 14 inch doll! 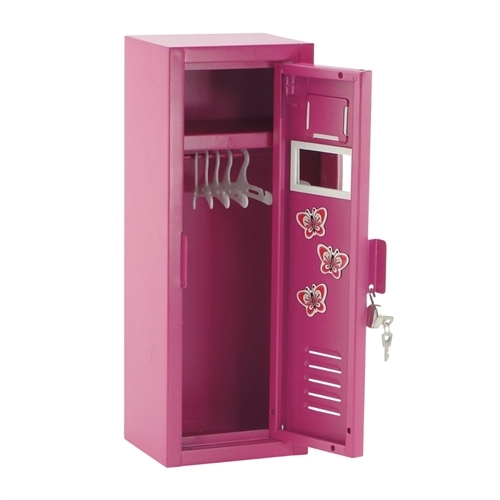 Amazingly realistic and sturdy 14" doll pink metal school locker, a functional and fun way to store clothes and accessories!